This is a special piece about the SNP’s attempts for a Currency Union with the rest of the UK. It is flawed and the implications could be drastic. All patriotic rhetoric aside, the Scottish people should be careful of what they wish for. Without question the potential breakup of the United Kingdom of Great Britain and Northern Ireland is a monumental and truly unique event. The Scottish people have been granted their request for the right as Scots to self-determination. This would result in much greater powers shifting away from Westminster and into the Scottish Parliament. From an emotional and patriotic perspective their cries for independence are fully justified and understandable; the fact is Scotland was an independent nation a very long time ago. Most people in Scotland do not consider themselves British and feel disillusioned with the decision making process over four hundred miles away in Westminster. This is not a matter of mere geography, the distance purely emphasizes the point that they are culturally their own people. It is this reason why the SNP have completely sold the Scottish YES campaign short by seeking a currency union with the England. If we analyse this call for ‘independence’ how independent can independence be if your currency; the common factor and medium that binds the market based society together, is determined by the same people you are claiming to want to leave? Surely that creates a more dependent nation than before? Currency union is what the Eurozone is based on. Because the ECB (European Central Bank) controls all monetary policy (interest rates & supply of money) across the entire region. Nation states are rendered somewhat useless to self-determination when it comes to economic planning, specifically fiscal policy (government spending and taxation). Therefore, the ECB must always factor in contrasting economies when deciding what interest rates will be. Think of large economies such as Germany and France and then smaller economies such as Portugal and of course Greece. Hypothetically, the ECB may raise interest rates across the Eurozone in order to curtail an economic boom. This could help the nations that are booming at a higher rate. Booming in the sense of higher and more potent economic activity. This is certainly possible when you look at just how different the economies are in the Eurozone. Some nations may benefit from higher rates of interest, whilst some may suffer. It will help some nations and hurt others. This is a very realistic scenario for Scotland. All patriotism aside and let the facts dictate. Several businesses such as RBS, Lloyds, Standard Life and others have all stated they are in unwavering support of the Union and will leave Scotland if they get their independence. Firms such as Next and John Lewis suggest that Scottish versions of their stores could have to increase prices in order to maintain price stability with the rest of the union. Can you imagine Scottish people driving to Northern England just to save money for the same goods and services? This could boost England’s economy and deplete Scottish business in the long run. There is a simple and rational solution and it is a genuine surprise that the SNP have not considered a fully independent Central Bank and Currency. Rather than seeking a currency union with the UK why not create your own? This is what a truly independent Scotland deserves. This hybrid, this poorly choreographed collaboration between two neighbours is not independence. It is dependence. This top-heavy relationship is highly unlikely to work for Scotland. As the evidence suggests for currency union in the Eurozone, (Greece, Spain, Ireland and Portugal) without fiscal AND monetary union determined by one single body tailored to the needs of your own economy there will ALWAYS be an imbalance. Mark Carney accurately described a currency union as “incompatible with sovereignty.” The SNP have however suggested a fiscal framework to avoid a Greek and Spanish like currency imbalance situation but it simply does not go far enough. The Union have made it clear what their view is and they want Scotland to remain. They have no obligation to make special arrangements for Scotland. For true, unaltered and FULL independence Scotland require full control over both fiscal (government spending) and monetary (interest rates) policies. Without control over both Scotland need to ensure they have enough of a thriving and stable market to ensure their economic activity does not stray too far from that of England if they want to use the Pound Sterling. It will be very difficult to maintain that balance however, especially considering the unwavering stance from the Union. Being Scottish is of the heart and mind and not necessarily of the ballot. Of course officially being an independent nation and having full national recognition is something to savour and for Alex Salmond, he gets to write his name into history forever. It should be approached with caution because the SNP’s approach lacks the real vision and authenticity the Scottish people deserve. If the Scottish economy does not create enough well paid and productive jobs in both short and long-run, if it does not open itself for real and beneficial investment then Scotland will suffer. 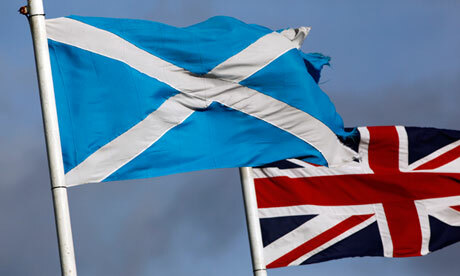 Good luck to the people of Scotland no matter what the outcome.